Sunday, Sep. 16, 2018, 1 – 5 p.m. Interested in D & D? Want to find people to play and learn with? 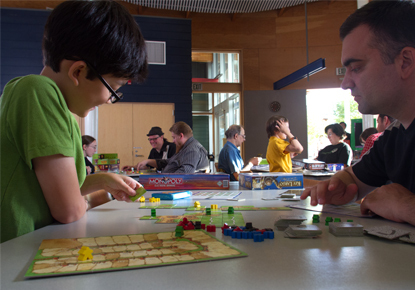 Join us for Dungeons & Dragons at Ballard Library. First time attendees please come at noon for Character Creation. Come and play Dungeons and Dragons. No experience or supplies required. If you are new to the group, please come at 12 noon for Character Creation. Organized and led by Ballard teens. Snacks provided. Recommended for 6th - 12th grades.